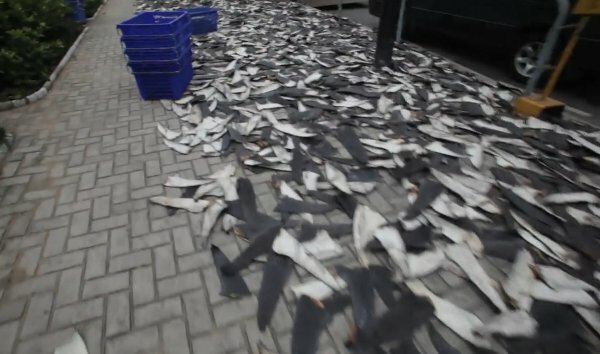 Gary Stokes posted a video of 1,000s of shark fins laid out on a sidewalk in Hong Kong. Shark fin soup is a delicacy in many Asian countries. The method of chopping off the shark fin then dumping it over board and left to drawn is gut wrenching. This video helps put this practice into perspective. I’ve been reading article after article on the banning of harvesting shark fins for soup, but never really knew how large of a problem it is. This video clearly shows that something has to shut this industry down and quickly. 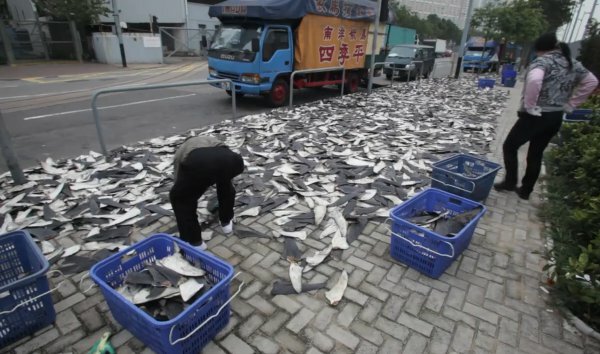 I’ve read that shark fins sell for as much as £380 a pound, which equates to $600 US dollars per pond. This practice is completely unacceptable! PLEASE SHARE!